A series of whitewater features, even just a few, will make Ann Arbor an attractive destination for whitewater paddlers. 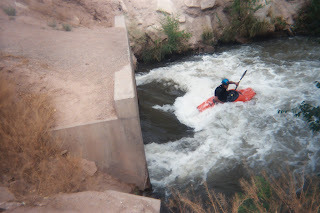 Here is a photo of a single whitewater feature at a drainage ditch in Albuquerque, New Mexico. 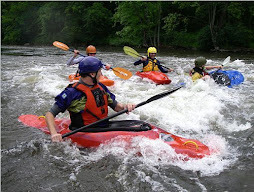 This features has been used for practice by world-championship-level kayakers. Paddlers all over Michigan would happily flock to the Huron River should similar features be created in lieu of Argo Dam. Traverse City officials voted in April to remove three former hydroelectric dams on the Boardman River, joining the growing number of communities across the country who have decided that the liabilities of maintaining deteriorating dams are outweighed by the benefits of restoring stretches of free-flowing river. The fact that federal and state funding is available for dam removal but not for dam maintenance is a recognition of the logic that drives such decisions. Removing Argo Dam would give Ann Arbor 30 acres of riverfront parkland and a free-flowing Huron River within the city limits. The restored Huron would offer more fish species and an uninterrupted stretch of river with whitewater that would appeal to the many canoeists and kayakers who use the Huron. Argo Pond has its defenders, particularly members of a vigorous rowing community who prefer it to other practice areas, but it is hard to believe that indefinitely paying the costs of maintaining an obsolete dam, and the related costs of managing a growing algae and sediment problem, make sense in the long run. The rowers could be accommodated elsewhere. 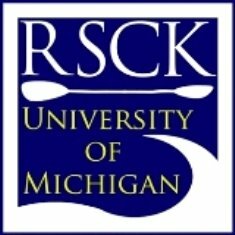 The experts on the health of the Huron River - ecologists, the DNR, the dedicated stewards of the Huron River Watershed Council - strongly favor removing Argo Dam. The decision that City Council must make this summer will not be easy, but removing the dam would be the right course for the future and would strengthen Ann Arbor's reputation as an environmentally progressive city. The Spring of 2009 is proving to be exceptional for whitewater paddling in lower Michigan. The combination of seasonal thaw and rain is keeping rivers like the Clinton, the Huron, the Red Cedar--those known for providing whitewater paddling opportunities--at high levels. Huron River paddling enthusiasts are finding good play at the Trestle, Rock Dam, and Tubbs. The construction activity and non-maintenance of Delhi Rapids is resulting in lower quality eddies and play features, a sad sign. 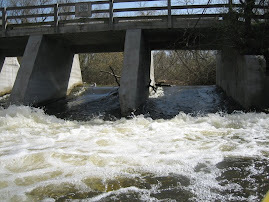 There is a new addition to the whitewater resources in lower Michigan: the Village of Dexter's Mill Creek Rapids. This series of features was created when a small, failing dam was removed in 2008. Paddlers from Lansing, Ann Arbor, Ypsilanti, Grand Rapids, and surrounding areas have all enjoyed Mill Creek's playful run.